A fungus is an organism belonging to a kingdom called Fungi. It is neither a plant nor an animal. Fungi cannot do photosynthesis on their own, as plants do. Fungi therefore often lives in symbiosis with plants. One of their major roles in nature is as decomposers. 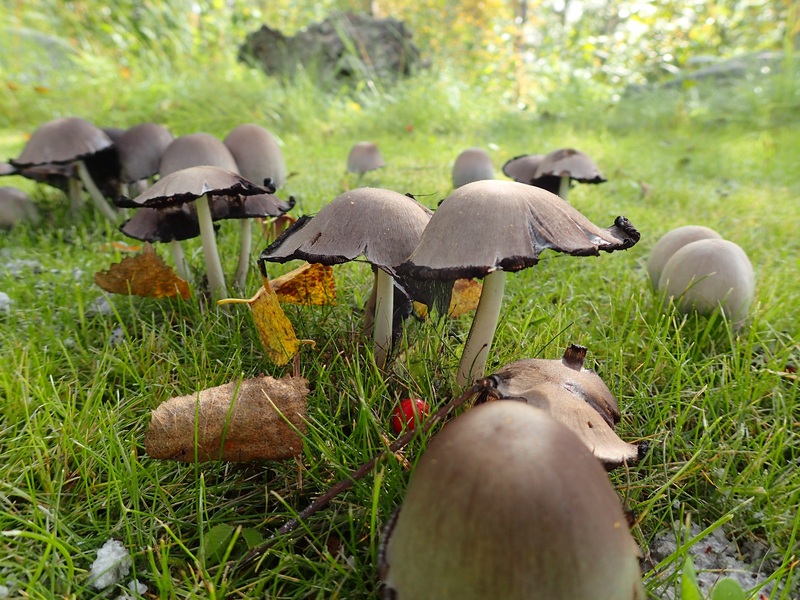 There are more types of fungi in nature than the familiar mushroom with a stem and a cap. Mushrooms are always fungi, but not all fungi are mushrooms. In addition, there are fungi that you cannot see with your naked eye, at least not without much training. These may live for example completely below ground, or as part of lichen attached to rocks and wood. Mushrooms with their stem-and-cap is the most familiar, but only one growth form of fungi in nature. Photo: Paul E. Aspholm, NIBIO.